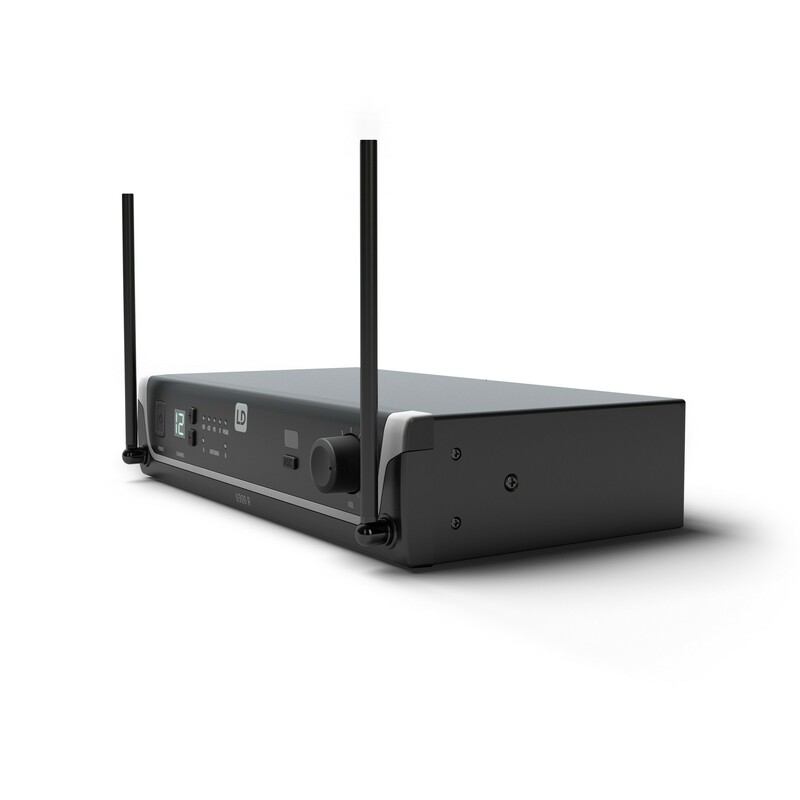 Developed in Germany, the UHF Diversity wireless systems from the U300 series deliver excellent audio performance. 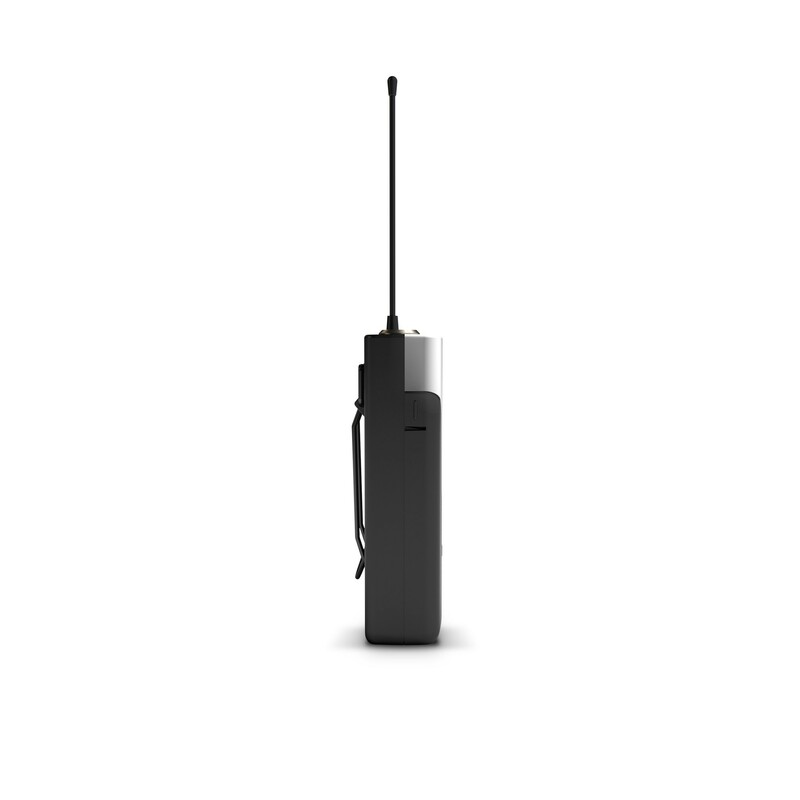 They achieve a range of 100 metres in ideal conditions and are available in 5 frequency bands: 584 MHz - 608 MHz, 655 MHz - 679 MHz, 823 MHz - 832 MHz + 863 MHz - 865 MHz, 470 MHz - 490 MHz or 514 MHz - 542 MHz. 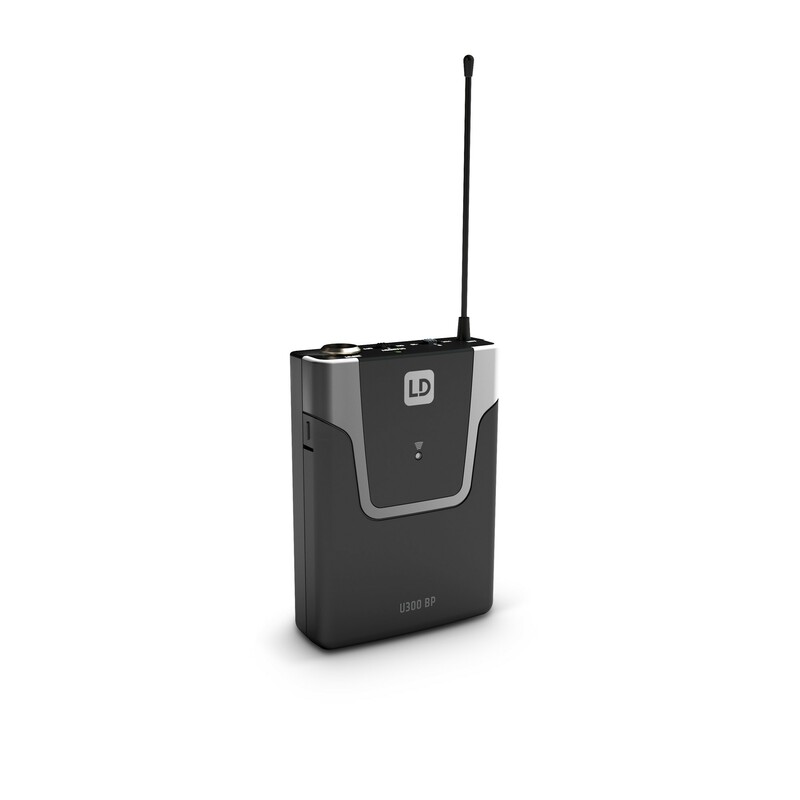 Six U300 systems can be used simultaneously for each frequency band. 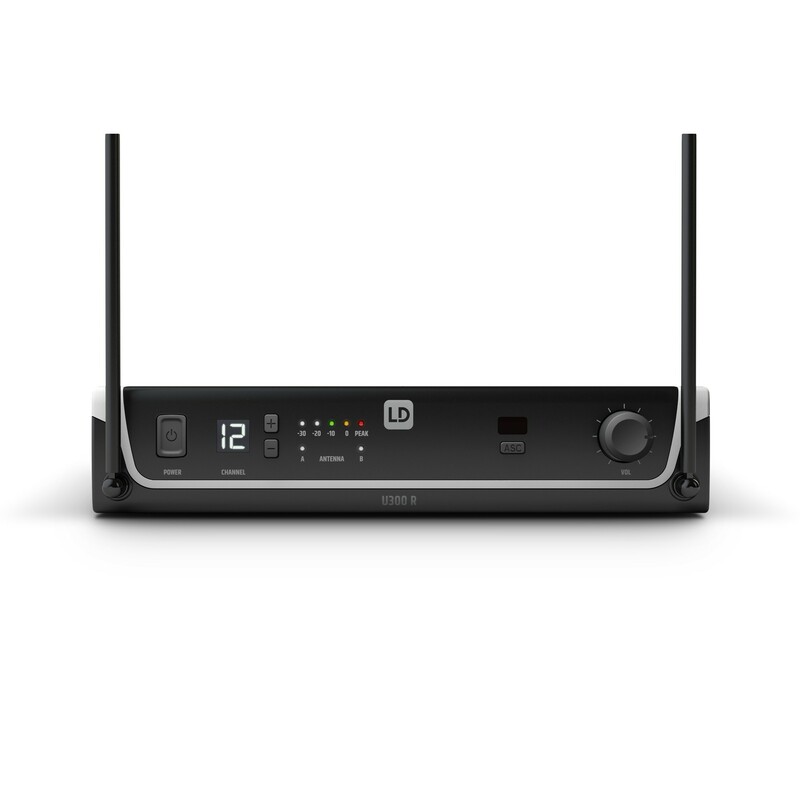 Convenient one-touch synchronisation via infrared ensures fast, problem-free wireless connection between the transmitter and receiver, while a squelch with pilot tone ensures disruption-free operation. 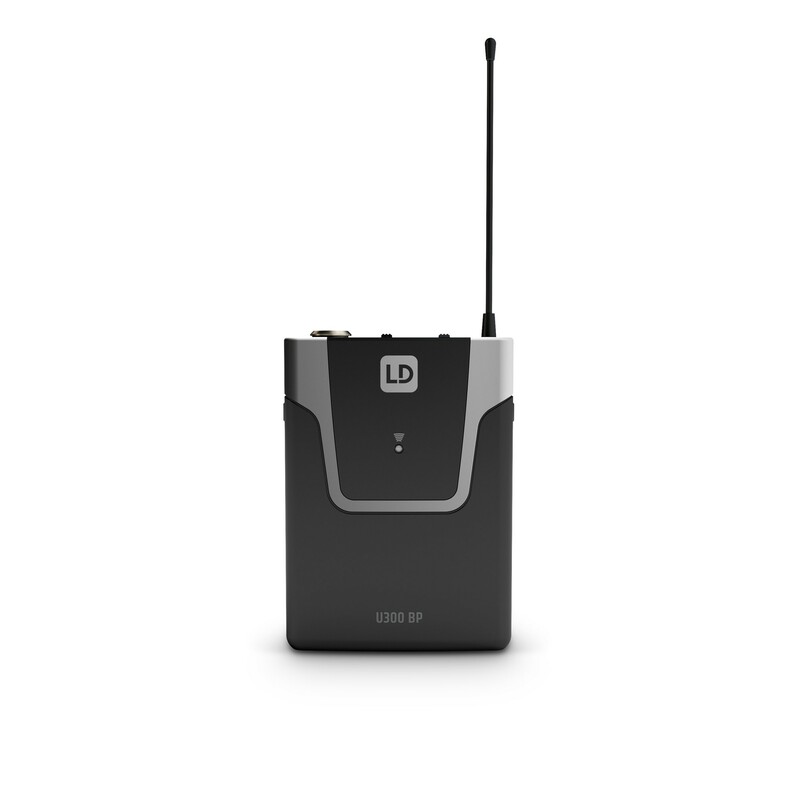 U300 transmitters have a 10 mW output and an operating time of 10 hours on two AA batteries. 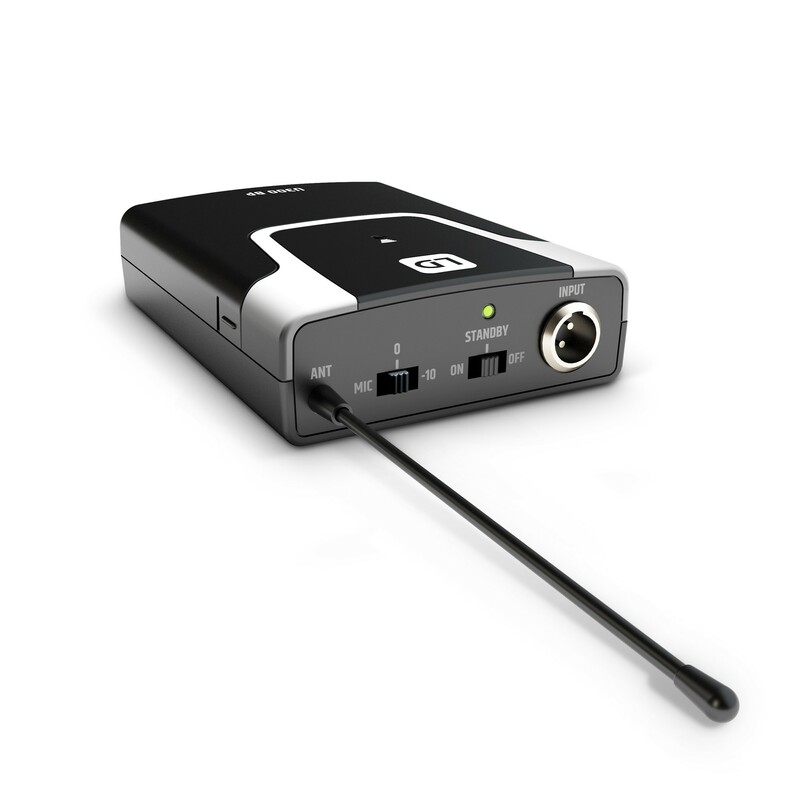 The handheld microphone’s frequency response ranges from 55 Hz to 16 kHz. With a lower cut-off frequency of 25 Hz, the bodypack is also suitable for transmitting 5-string bass guitars with a deep H string. 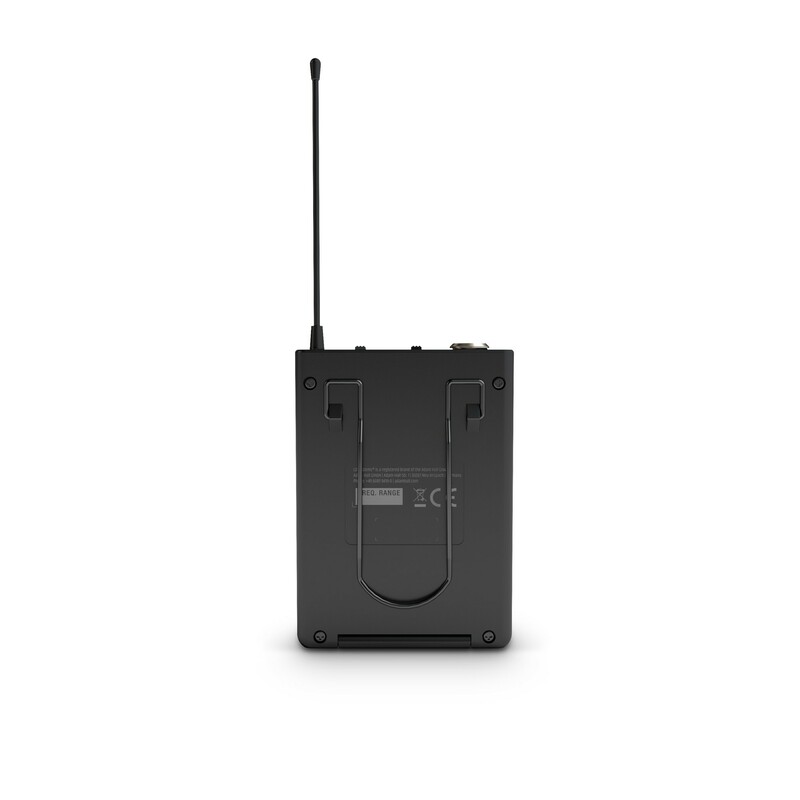 The bodypack’s input level can be adjusted to both active and passive guitars and basses over three levels. The power switch features a handy standby mode for temporary muting. 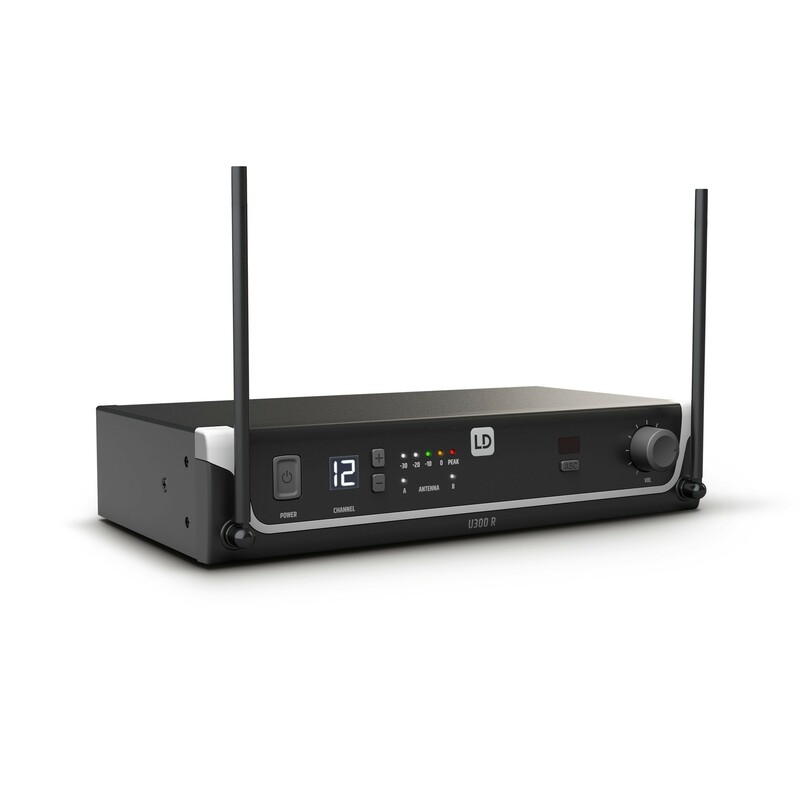 The U300 receiver is fitted with a bright LCD channel display, an LED chain for displaying audio signal strength and both a balanced XLR and an unbalanced 6.35 mm audio output. 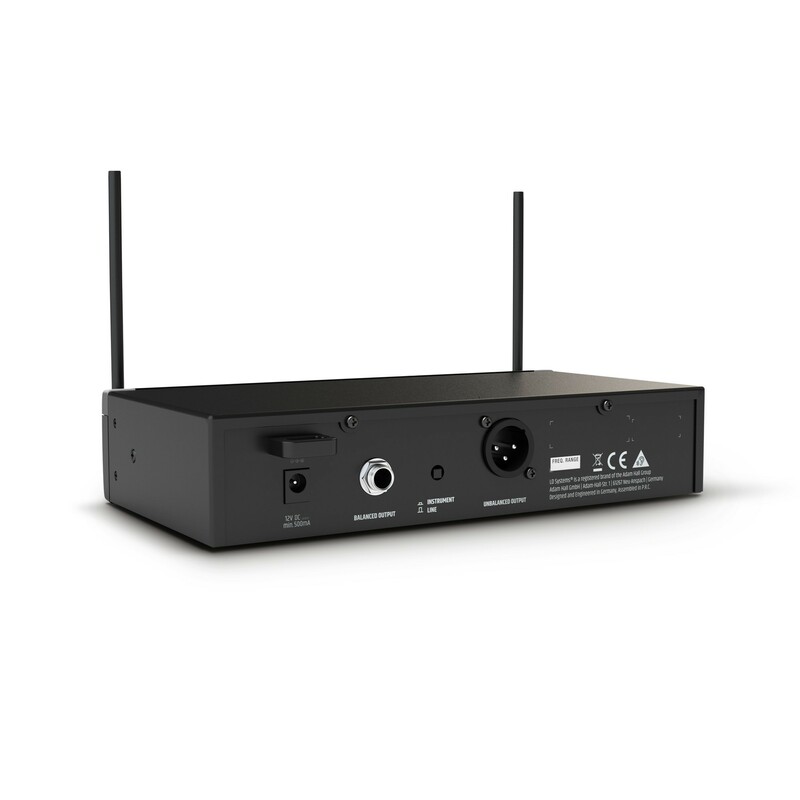 The audio output can also be switched to instrument level for directly connecting to guitar and bass amplifiers. 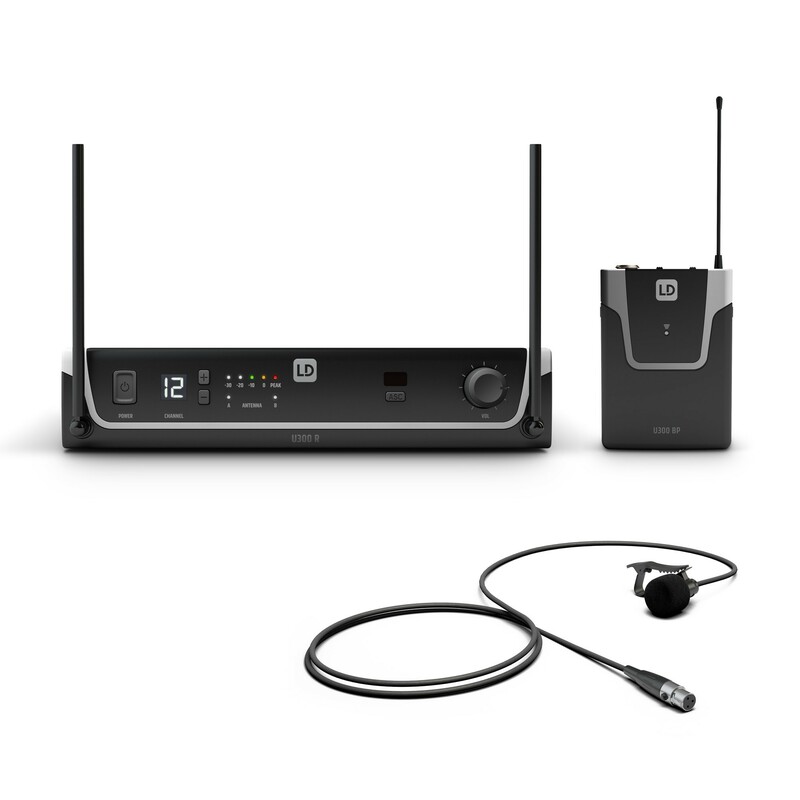 U300 series wireless systems feature a fresh, modern design and are available as vocal sets with receiver and dynamic handheld microphone with cardioid characteristic, bodypack and headset or bodypack and lavalier microphone. 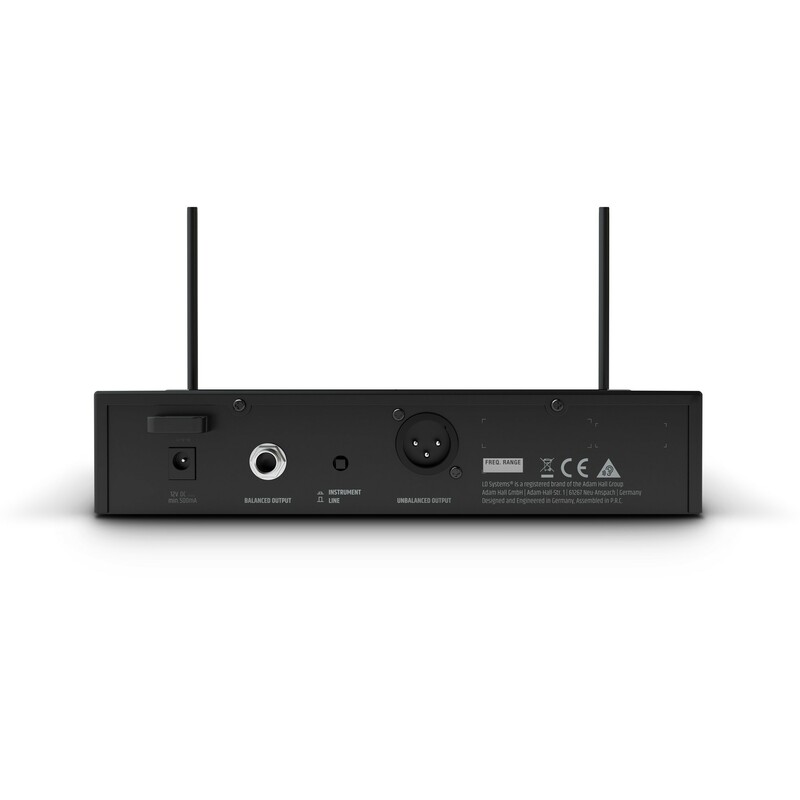 The microphone characteristic can be changed using U500 series replaceable heads. 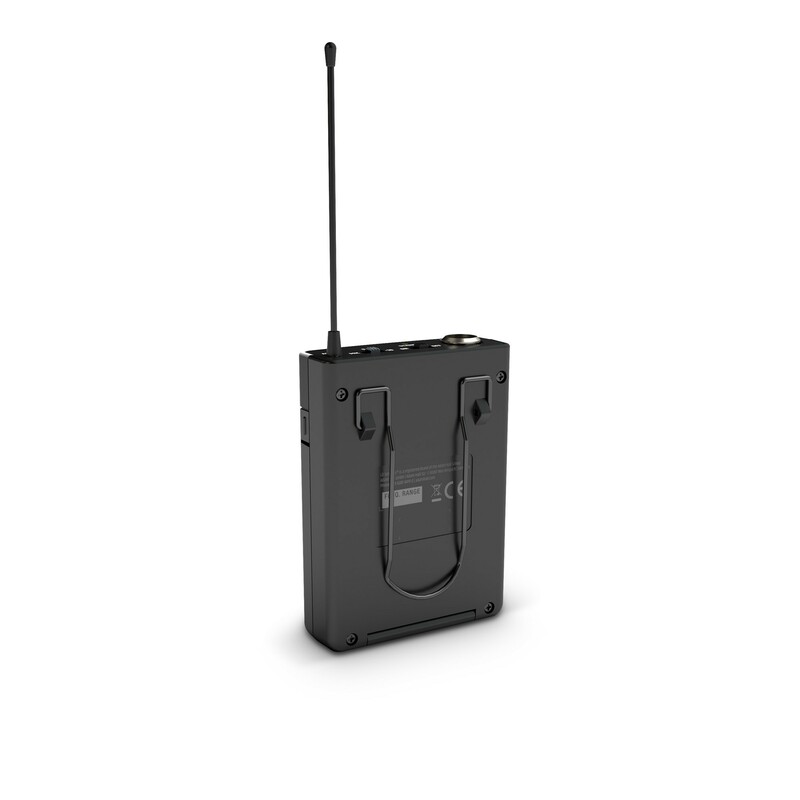 U300 instrument sets are available with bodypack and clip-on microphone for wind instruments or a double-shielded low-capacitance cable for guitars and basses.